TO understand the religion of China as set forth in their literature as far back as there are records of the Chinese people, is to understand their religion today. It is true that today in China there are three chief religions: Taoism, Confucianism, and Buddhism. Taoism is the older form of belief. Confucianism is merely a classical and orthodox interpretation of Taoism. And Buddhism in China is a belief grafted on the older stock without impairing the latter. It seems to me there has never been a more scientific approach to religion than the fundamental tenets of Taoism. The weakness of the religion lies not in its fundamentals, but in the fact that as time elapsed everything connected with it was based on ancient authority. The Chinese came to assume that everything of value was already known about the universe and its manifestations. This led to crystallization and prevented growth. Instead of critical investigation, blind belief in the statements of those more ancient were accepted without question. Taoism, even as does The Religion of the Stars, holds that the universe has intelligence, and that this cosmic intelligence is expressed through the movements that take place in the universe. If mankind acts against the will of the universe he meets disaster, but if he conforms his actions to the universal will he prospers and is happy. Man is considered a microcosm, a miniature universe; and the various movements of the macrocosm, including the planets in their orbits, have an influence upon man. Man, therefore, should intently study all the phenomena of nature, that he may by his actions cooperate with the intent of the universal consciousness. Tao means Road, or Way, signifying the way the universe moves, Jen Tao being the manner of life man should live to conform with such movements. Tao is divided into T’ien Tao, the Tao of Heaven, and T’i Tao, the Tao of Earth. 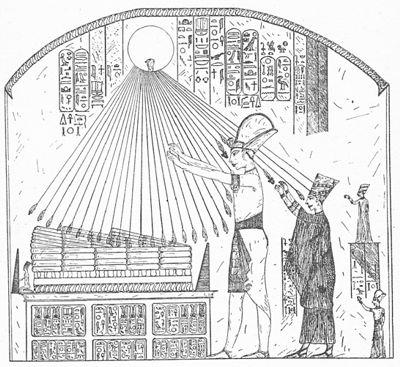 In fact, the whole system is based upon the thought which in Egypt was formulated, “As it is below, so it is above; as on the earth, so in the sky.” Thus does the doctrine of correspondences lie at the base of Chinese religion. Furthermore, the occult doctrine of polarity is clearly set forth: Heaven, or Yang, being positive to Earth, or Yin; there being souls having affinity with each. The soul of man is dual, consisting of a shen, or heavenly soul, and a kwei, or earthly soul. At the death of the body only the shen, or as we would call it the divine soul, returns to its heavenly source. Other spirits that have an affinity for the spiritual side of the universe also are called shen, and those that have an affinity for the grosser side of nature, or as we would call them the animal souls, are called kwei. The universe is supposed to be crowded with shen and kwei, gods and demons, which are antagonistic to each other, the former to be propitiated that they may prevent the action of the latter. I am sure no religious Chinese would find fault with such a statement, nor would the educated occultist of any land. The terminology is somewhat unique, but the facts coincide with observation in all lands and ages. And in China the belief, which I consider well founded, that evil actions attract evil unseen influences—what really happens is that through extrasensory perception one tunes in on intelligences of propensities similar to one’s thoughts—has been one of the strongest forces in behalf of morality. The Chinese believe in a life of strict honesty, virtue, and beneficence, because they conceive the universal intelligence to possess these qualities. To be more specific, the four cardinal virtues are: Benevolence, righteousness, laws and rites of social life, and correctness, or knowledge. The doctrine of Tao is held to have been handed down from the earliest ancestors, who were perfect or holy men and knew better than any other creatures what Tao is because they lived while it was being established among mankind. All that has been done subsequently, therefore, has been to transcribe and interpret this ancient doctrine. In this work four names stand out: Confucius, Lao, Chwang, and Kwan. The best known of the Taoist works to Western students is the Tao the king, by Lao-tse. Lao admitted that information gained through the use of the five senses can be useful, and that reason can be employed to solve the less important problems, but that neither can lead man to spiritual knowledge. He held, more than 500 years BC—and people may well heed his advice today—that the first step in spiritual progress requires the unlearning of much that civilization holds to be true, otherwise the mind is unable to act as a mirror of Tao. This old philosopher who wrote the Bible of Tao understood very well the technique of extrasensory perception as employed today; for in contemplation as advised by him, he taught that in its practice all preconceived opinions should be dismissed, and that there should be a deliberate inhibition of cerebral activity. With the coming of the Han dynasty, two centuries BC, the interpretation of Tao given by Confucius was declared the official religion of China. His works became the orthodox Bible, while the works of the other three constituted the Bibles of the other Taoists who did not hold to Confucianism. Confucius lived 551-478 BC. His code of morals, based upon Tao, has only been surpassed in that he gave the Golden Rule a less positive turn than it was later formulated by Jesus. He taught, “Do not unto others what you would not have them do unto you.” To give his code, and his doctrine of “The Perfect Man,” more in detail would be merely to state what is at present among all civilized people regarded as of highest virtue. Both the Taoists and Confucius taught the necessity of virtue and right action; but Confucius held rather to the opinion that the rules of right conduct may be learned through intellectual effort, while the Taoists held to the more mystical view that information comes from within when the intellect is Wu-Wei (quiet). So thoroughly is it believed in China that death does not sever affectional ties, and that those who have passed to the next sphere may advise and assist those yet on earth, that it gave rise to ancestor worship. And so thoroughly are the Chinese convinced of the truth of astrology that its study and practice are deemed essential as an official part of the government. Almanacs were published officially as far back as the 24th century before our era. Magic, both white and black, is believed in, and various forms of divination are practiced. The most prevalent form of divination is called fung shui. It is a mixture of geomancy, symbol interpretation, and astrology, applied to selecting the proper location in every respect for the construction of houses, graves, and temples. (For further information consult especially, Religion in China, by Professor J. J. de Groot). That man should study the universe that he might conform his actions to the universal will is as solid a foundation for religion as can be found. But when the state took over the religion, as it did in the age of Han, and declared that what had been taught about the universe in the past must be true, and from thence on permitted no new ideas to be taught, and vigorously and cruelly persecuted any infringement of this law, China crystallized. Then, as now, when any people become convinced they know all that can be known about the operation of nature, progress ceases and decay sets in. Considering Confucianism and Taoism as one religion—and they are really the orthodox and less orthodox conception of essentially the same religion—with its 310 million followers, it is second only to Christianity in having the most numerous adherents of any religion in the world. Somewhere in Persia about 1,000 BC was born Zarathustra, later known as Zoroaster. In type he was much like the old Jewish prophets, although he probably was an Aryan, and most certainly propounded a religion which, aside from his visions, was derived from older Aryan sources and modified to suit his needs. When he was thirty years of age he had a series of seven visions. The first vision was of Mazdah (the supreme Being) at the Last Judgment, and the second was of Mazdah at the Creation. The other five visions were of the archangel Good Thought, asking if he belonged to good or evil, teaching him the ways of Mazdah, observing his zeal in the cause of good, and finally sending him on his mission as a preacher. Henceforth, in the face of relentless persecution and in spite of many obstacles, he taught his doctrines both by word of mouth and in writing. These sacred writings of Zoroaster were reputed to have contained over two million verses, written in golden letters on twelve thousand cow hides tied together with golden bands. At the age of 77 Zoroaster was slain by his enemies as he stood by the Sacred Fire in ministration. When Alexander invaded Persia it is said that about 333 BC, he destroyed the official copy of the Avesta, as the writings of Zoroaster are known. The religion then sank almost into oblivion for nearly 600 years. But at the end of this period the first of the Sassanian kings—226-240 AD—ordered whatever fragments had been preserved, and such portions as were remembered by the priests, to be collected. This was finally accomplished and constitutes the five books of the Avesta of today, although, of course, this is but a small portion of the original work. The first book, the Yasna, contains the metrical hymns of Zoroaster and gives the main tenets of his teachings. The other books contain the litany, the priestly code, accounts of creation, accounts of the golden age, accounts of the first destructive winter, or age of horrors, songs, invocations to different angels, etc. Because the language spoken in the time of the restoration of the Avesta was so different from the language in which it was originally written, the latter was intelligible only to the priests who had preserved its significance in oral tradition. It was therefore translated into Pahlavi, and this came to be known as the Zend translation, also erroneously termed Zendavesta. Zoroastrianism flourished in Persia from the time of the Sassanian kings until the country was conquered in 652 by Mohammedan invaders. From that time to the present, although there are supposed to be some ten thousand surreptitious believers yet in Persia, its adherents have been frightfully persecuted. Most of them fled, and after some wandering gained a foothold in India, where about 100,000 of them, known as Parsis, today are much respected. The Avesta is the sacred book of the Parsis. But Persia (Iran) remains a Mohammedan country. According to Zoroaster, Mazdah, later called Ahuramazda, also Ormuzd, is the creator of the universe. Mazdah, however, has an enemy, and Evil Spirit, almost as powerful as himself, but who eventually, with the help of man, he will overcome. Perhaps the most characteristic teaching of Zoroaster is that every good has its evil counterpart, and that in all realms and conditions there is a struggle between the two influences. There are good spirits that inspire man toward righteousness and evil spirits that impress him to acts of iniquity, and throughout there is warfare between these two. Both strive for man’s soul; for after death the soul is judged by Mazdah and if the good predominates it goes to a region of bliss and enjoyment, but if the evil predominates it goes to a region of eternal torment. Here we have, about a thousand years before the commencement of Christianity, a very clear picture of the Calvanistic heaven and hell. In the final judgment, if there is an equal balance between the good and evil, there is a middle realm—the prototype of purgatory—somewhere between heaven and hell, to which the soul goes. Zoroaster, whose birth was announced by miraculous happenings, by the mercy of Mazdah was sent as a Savior to convert men from a life of wickedness to a life of doing good. And at the time of judgment in the after life he stands with the soul that no good deed may be overlooked. In this judgment good thoughts, good words, and good deeds are the three kinds of merit, and these three are continually emphasized in the Zoroastrian teachings. It is also taught, and looked forward to, that a time will come when the Evil One will be completely overthrown and the world purged of sin. This latter will be accomplished by a flood of molten metal which will be but a pleasant bath to the righteous, but will destroy the wicked. Ranged about the Supreme Creator, Mazdah, are seven archangels, called Amshaspands, or Cpenta Mainu. Each of these archangels has well-defined attributes, and assists in the government of the universe. There are also seven archdemons surrounding the Evil One. The main theme of Zoroaster’s teachings is a zealous endeavor to convert people to right thought, right speech and right action. He continually holds before them the bliss of paradise for those who follow his precepts, and the torments of hell for those who permit evil to influence them. His followers, however, have added some important features to the faith. This is after the manner of followers; for more often than not the things that form the conspicuous phases of a religion were not taught by its first leader, and may even have been denounced by him. Thus did Zoroaster heartily and repeatedly denounce the ritual of haoma, which today is the most conspicuous feature of the Parsi ritual. This haoma, or hom-juice, is the same as the Soma of the Veda, and the religious ceremony accompanying its preparation and its drinking probably dates back to a time before the Aryans had reached either Persia or India. Zoroaster tried to discourage the practice (it survives in an altered state in the wine of communion of Christian sects), but in spite of his efforts the old Aryan ritual is at present a dominant factor in Zoroastrianism. Another conspicuous part of the modern Parsi practice certainly was not derived from Zoroaster’s teachings, but from an earlier religion. This is their method of disposing of the dead. They build Towers of Silence, open to the sky, with a metal grating near the top on which the dead are placed. The vultures devour the flesh, and the bones drop through the grating to be caught by a special receptacle beneath. The Parsis hold that earth, water, and fire are holy and that bodies, which would pollute these elements should not be buried, left in the water, or cremated. The third unique religious practice of the Parsis is the so-called fire worship. The fire is really not worshiped, at least no more so than the cross is worshiped by Christians, but is venerated as the symbol of Mazdah. This important ritual is performed privately by the priests in special Fire temples. The sacred fire in these temples is fed with holy fuel, such as aromatic sandlewood, and is never permitted to be extinguished. The priests who attend to this must be sons of priests, although such sons may reject the priesthood if they so elect. Jesus did not deny the value of the religion of the Jews, but added to it a message of hope and a teaching of love. Neither did Mohammed deny, or try to destroy, the teachings of the Bible or those of Jesus. He brought to his people a doctrine of life. Mohammed believed in the Jewish prophets of old, and that they were inspired, particularly stressing the doctrine that Moses, Abraham and Jesus were divine teachers. Mohammed was an Arab, bringing his message to the Arabian people. This people, as well as the Jews, were a Semitic race. Their traditions, extending into the dim vistas of the past, tend to a belief in wise patriarchs and inspired prophets. Mohammed believed his mission was to crown and complete the teachings of Jesus and the older Jewish prophets. He was born 570 AD, at the age of twenty-five married a rich widow, and later raised a family. He did not receive his call to act as the messenger of God until he was forty years old. At that time the angel Gabriel appeared to him and gave him instructions, and he spent the remainder of his life in preaching and spreading his gospel. At that time, in addition to other forms of Animism, there were worshiped throughout Arabia something over 300 tribal gods. Of even greater power than these tribal deities, and acting as a protector over them, was a black stone at Mecca. This was a meteor which, some hundreds of years before Mohammed’s time, had been used as a corner stone about which a small square temple of black stones had been built. Certain months of truce had been established among the warring Arabian tribes, in which they made pilgrimage to this Kaaba, marched about it, bowed themselves, kissed the stone, and then went their way. Mohammed, living in Mecca, observed this; and also that idolatry was prevalent. Mecca, as a religious center, was making much money from its various gods. But Mohammed’s first revelation convinced him that there is but One God, and that the worship of various forces and objects is sinful. He began to talk about this, and of course the inhabitants of the town, with whose money making he was interfering, began to persecute him. He made converts slowly, and on June 16, 622—a date which fixes the commencement of the Mohammedan era—when he was fifty-two years old, he was forced to flee from Mecca and take shelter in the neighboring town of Medina. This flight, called the Hegira, marks also the beginning of Mohammed’s success. The inhabitants of Mecca attacked Medina, where Mohammed was sheltered, but were unsuccessful; and at a later date Mohammed returned in triumph to Mecca as its master, and finally became the master of all Arabia. He died at the age of sixty-two. Whatever other mistakes Mohammed may have made, he was not insincere and not dishonest. He claimed no infallibility, and on occasions admitted that he had made mistakes, and took pains to rectify them. Christianity at this time was particularly corrupt, which explains why so many of its followers were converted to the faith of Islam. Mazdaism, the cult of the Zoroastrian Magi of that day, also had fallen into a state of decay, and its followers readily adopted the more vital religion of Mohammed. Thus the Moslem Empire, under Mohammed and his successors, carried forward by successful warfare, by 750 extended along the south Mediterranean coast to the Atlantic Ocean and into Spain, and from the Mediterranean eastward to beyond the Indus in India. Had it not been for family quarrels over who was Mohammed’s rightful successor, which split the Empire into warring factions, it is probable the whole world would have been conquered. Now let us see what these doctrines are which have such a hold on 230 million people and give Mohammedanism the third largest following of any religion in the world. In the first place to Mohammed the idea of three gods reigning over the world seemed illogical. His intellect demanded the worship of One Supreme Deity termed in Arabian, Allah. The Christians, according to Mohammed’s idea, worshiped three gods—the Father, Jesus, and Mary—and certainly in his day the Christians were endlessly wrangling about trinities and various other obscure points. But Mohammed insisted, as the basis of his doctrine, that there was only One God. He did not believe in godlings, and while he believed in angels and jinns, these were not to be worshiped. Furthermore, the Jews claimed to be the special favorites of their god, Jehovah. But the One God, Allah, was alike and impartially the God of all the people of the world. In the beginning Mohammed and his followers faced Jerusalem to pray. But meeting with great rebuffs from Christians and Jews whom he tried to convert, he finally permitted his followers their ancient custom of looking to Mecca for religious inspiration. The Kaaba had been a place of worship and religious pilgrimage for centuries, and Mohammed compromised enough in his denunciation of images to permit his people to use the venerable meteor stone at Mecca as a symbol of their faith, in the same sense that Christians adore the cross. But while he permitted and encouraged the holy pilgrimages to Mecca, he strictly forbade mysterious symbolism, rites, chants, and such outward forms as encumber so many religions. And, moreover, there were to be no priests. To the devout Mohammedan Allah is near and hears his prayers without need of intercession on the part of any other. The picture of a hell of torture for the wicked was made vivid. And for the faithful, who had lived charitable lives, he did not build a picture of heaven in which there would be saints, and priests, and kings, and ceaseless praise and worship and devotional music. A great city like heavenly Jerusalem, paved with gold, adorned with precious stones, and a great white throne occupied by a splendid ruler, about whom angels played on harps, with the elect close at hand to share the pomp, power, and glory, were well calculated to enthuse the Jews of those days. But to Mohammed’s people such an environment offered little attraction. They were a desert people, to whom a city paved with gold made no appeal. But after their hot dusty treks across the desert they longed for shade, and rest, and cooling drink, and the company of fair women. Therefore, in the heaven of Mohammed, all are brothers on equal footing, and the surroundings are just as these children of the desert crave. In the Moslem paradise, the faithful are led to a garden of bliss, dressed in fine clothes, and permitted to repose on green cushioned couches, facing others similarly fortunate and enjoying “fruit and forgiveness.” They eat fruit without indigestion, drink milk and honey and wine without headache; these draughts seasoned with various spices being carried about in silver goblets by comely youths. There are also present well-grown, chaste, large-eyed maids of the same age as the faithful. No deceit or folly comes into this blessed place. According to the Koran, which is the collected utterances of Mohammed and thus constitutes the Mohammedan Bible, these maids of paradise are very modest and well behaved, and the wine does not intoxicate. The picture is one that while appealing to the senses, has a refined and elegant turn rather than being of grosser mold. As to hell, the condemned are said to be neither dead nor alive in hell fire, but greatly yet vainly desiring to end their eternal suffering. In Mohammed’s day, and for a long time afterward, women were believed to have no place in paradise. But in more recent times the women, now feeling less servile than then, also had need of a heaven to reward them for goodly lives. So it has come to pass that Mohammedan women have a paradise also, in which they rest at ease, and are waited on by comely young men, who bring them cooling draughts and provide for their comfort. It would seem that expediency forced Mohammed, against his convictions, to modify his doctrines sufficiently to allow homage to be paid to the ancient Kaaba stone at Mecca; for there seems little doubt in view of his earlier denunciations that he looked upon this veneration of the Kaaba as something evil. 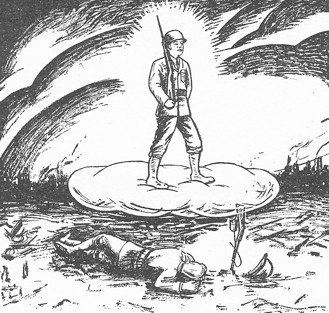 But so strong was the custom that it seems evident that he felt that to continue to oppose it would weaken his power. It would seem that he came to believe that the pilgrimage to the Kaaba at Mecca was a unifying element among his people, and was to be endured as a necessary evil. And with the passing of Mohammed, and the rise of other Caliphs, one after another of the customs and ceremonies that had been in use before the advent of Mohammedanism crept back and became a part of the religion. One of the outstanding features of Mohammedanism is the strong insistence on kindliness and consideration for others in everyday life. Originally the profession of faith was: “There is no God but Allah.” Later this was modified into, “There is no God but Allah and Mohammed is his apostle.” The faithful are also expected five times a day to repeat a formula of prayer while bowing and facing Mecca. After the time of Mohammed, in the eighth century, the Christian church split into the Eastern Church and the Western Church, the latter holding to the old title “Catholic,” borrowed from the New Testament, and the Eastern Church being content with the title “Orthodox.” They are sometimes called the Roman Catholic Church and the Greek Catholic Church, the latter being the dominant one in Russia before the revolution in 1917. Then in the sixteenth century, led by Martin Luther, the Protestants separated from the Roman Catholic Church. Thus in America the most influential religions are those of the (Roman) Catholics, Protestants and Jews. These at this time, however, are divided into 259 different creeds, each of which bases its religion on the Bible, but gives the writings there found a somewhat different interpretation. And a leader of any of these 259 creeds usually will hold that only his interpretation is correct. And each demands that the view of his creed shall be accepted, not because it coincides with observed facts in nature, but on faith. Yet if people are educated to take the word of such leaders without question, and to refrain from demanding any proof that what the leader says is correct, not only do they become conditioned to accept erroneous religious ideas—for if one of these creeds is correct the other 258 must embrace some error—but they become conditioned to accept the ideas of their leaders without proof, and thus become easily exploited politically and economically. The Christian religion is here mentioned because parallel conditions developed in the Mohammedan religion. The Sunnites hold that the Omayyads were the rightful successors to Mohammed, while the Shiites hold that his successor should have been Ali. The Sunnites are more numerous in and dominate Turkey and Arabia, while the Shiites prevail in Iran (Persia) and India, although like Protestants and Catholics they frequently live in the same country side by side. The Sunnites believe not only in the Koran, but also in the very extensive orthodox tradition (Sunna) surrounding Mohammed, as the word of God. The Shiites accept the Koran implicitly, but reject the tradition, and hold as an article of faith that Ali is the vicegerent of Deity. Other disputes arose, such as whether the Koran was and always had been coexist with God. The question of free will and predestination was also a source of argument. In the course of time, also apparently following the invariable rule in such matters, Mohammed, who undoubtedly had both good qualities and grievous faults, was made by his followers into a sinless being who performed miracles. The old Hero Cult trend, both then and at the present day, is difficult to avoid. But even more strange, for Mohammed denounced all such practices, a host of saints has risen, patron saints of villages to whom the Mohammedan prays for protection or for other boons. Nor, at the present day, is the religion which was to have no priests entirely free from them in some of its sects. Mohammed apparently accepted the teachings of the Bible with one exception. He refused to believe in the work of creation, as related in Genesis, that God had rested on the Seventh day. Instead of Saturday, as with the Jews, the Mohammedan day of congregation is Friday. Preceding prayer, ablutions are customary; for it is strongly emphasized that godliness and cleanliness are closely akin. Mohammedanism came to be called Islam, an Arabic word signifying “entire submission to the will of God.” From this word also came the words Moslem and Musselman, meaning those who profess the religion of Mohammed. But due to incorporating various elements of older and adjacent religions, the Islam of today is as little like the religion of Mohammed as most Buddhism today is like the religion of Buddha, or for that matter, as the teachings in many present-day Christian Churches are like the humble teachings of Jesus. This is a heresy of Mohammedanism which endeavors to reconcile all religions, and especially Buddhism, Christianity and Mohammedanism. It had its origin in Persia (Iran) and is based upon divine revelations. The first of the Bahai revealators, Ali Muhammad, announced himself on May 23, 1844. He declared himself to be the Bab, or forerunner, of a still greater prophet. He suffered martyrdom at the hands of the Mohammedans. In fact, as late as 1901 there were at one time 170 persons martyred rather than deny the faith. After the martyrdom of Ali Muhammad, an enthusiast, born in 1817, by the name of Baha Ullah, became the leader and revealator of the movement. He was imprisoned, due to his effort to spread his religion in Bagdad, Constantinople, Adrianople and Acre. He died in 1892, but his son, Sir Abdul Baha Bahai, born on the same day Ali Muhammad made his first announcement, then took over the movement and became its inspired leader. Founding Bahaism, he taught that heaven and hell are conditions of the soul. He died in 1921. The Bahaists during the past decade have finished a large temple of remarkable architecture at Wilmette, Illinois, on the spot which they claim is the center of the world. They hold that tolerance for the ideas of other people is to be cultivated, and certain special reforms are to be inaugurated, one of which embraces the adoption of a universal language. Monogamy is taught, asceticism discouraged, drugs and intoxicating liquors are prohibited, and love rather than harshness is emphasized. There are temples and teachers, but no clergy apart from the laity. The movement stands for liberal education for both men and women, and emphasizes the importance of securing world peace. The greatest weakness of Mohammedanism is also the greatest weakness of the Christian Fundamentalists. The Koran and the voluminous orthodox tradition, as does the Bible, frequently makes contradictory and irreconcilable statements. But the devout Moslem is not permitted to inquire how or why. He must take everything on faith. Islam, as well as orthodox Christianity, has had its iron curtain by which it has succeeded in hiding any information inconsistent with the Koran. It has successfully stifled thought; for numerous things are taught which are contrary to things proved by modern science. But education has been entirely in the hands of the ulema. The ulema corresponds to our clergy. They do not stand between the worshiper and Deity, but they act in the capacity of spiritual advisers; and a devout Mohammedan takes no important action of any kind without consulting his ulema. Thus is it that the education of the people, or even the education of those who make a profession of scholastic attainment, cannot go beyond that which is compatible with the Koran. Christianity in the United States, at the present time, has succeeded in three states in passing laws making it illegal to teach evolution in public schools. And a few hundred years ago Christianity made teaching that the world was round punishable by death. In a similar manner, in the Moslem world, to teach anything that seems to be at variance with the ideas set forth in the Koran is punishable. Yet any religious, political or economic doctrine that limits investigation of the facts, and prevents those facts from being given public discussion, by such actions confesses its fear that the doctrine thus protected is unsound; for if it is sound, investigation and unbiased discussion will only strengthen its acceptance. To the devout Mohammedan, or to the Christian Fundamentalist, a thing may be entirely black and entirely white at the same time. Sacred writings must be believed, in spite of the logical impossibility of some of their statements. Thus the Koran affirms that there is reward and punishment in another life such as presumes moral responsibility and free will in man. Yet it also affirms predestination, a common Moslem teaching being that man from the very beginning is predestined by the will of Allah to live just such a life in every particular as he does live. Yet in spite of this teaching that he cannot change his life in the smallest degree from that which Allah decreed, he is asked to believe that he will be judged upon his merits, and sentenced to everlasting joy in heaven, or everlasting torment in hell. This is parallel to the belief of Christian sects that only those will be saved who embrace the beliefs of the particular sect, but that God is responsible for the environment into which each person is born. As the environment commonly is responsible for the individual’s belief, and millions of people never even hear of the particular sect in whose creed there must be belief to be saved, the reward of heaven or hell is entirely beyond their responsibility. As in the Mohammedan belief, God alone is responsible for the suffering of those in hell. Aside from the absurdity of such ideas, the fatalism believed in by the Mohammedans is psychologically detrimental. And this Mohammedan fatalism is paralleled by the fatalism of astrologers of certain schools. 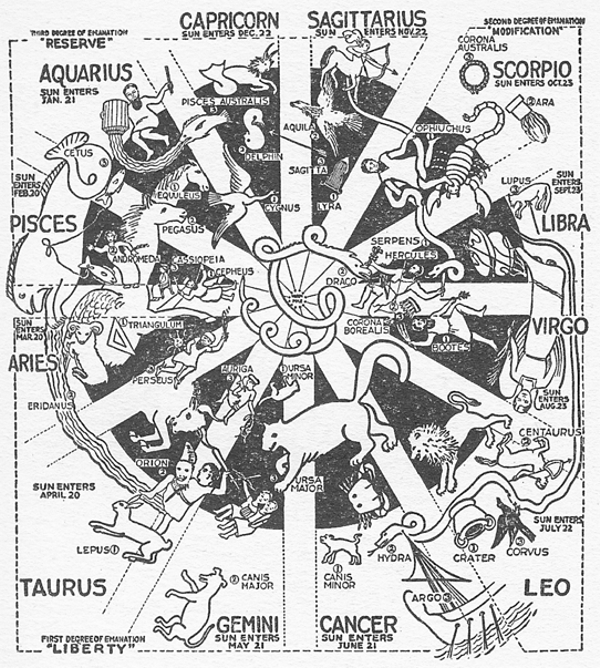 These astrologers hold that instead of being the energies of the inner-plane weather, astrology fixes a pattern for the individual to follow from which he cannot deviate. Instead of teaching that astrology maps energies the impact of which enables the thought cells to exercise their psychokinetic power to bring events into the life, and that it is possible to recondition these thought cells and thus get them to work not for the things otherwise indicated, they teach that whatever is indicated by astrology is bound to come to pass, and there is nothing the individual can do to prevent it. Yet experience refutes this view. Intelligence and initiative are, within reasonable limits, limits which will expand with more knowledge, able to overcome the influence of planetary energies and other forces of nature. The history of the human race is a record of difficulties that seemed to be the obstructing hand of fate that were surmounted and pushed aside. And any doctrine of predestination or of the fatality of astrology not only is unsound, but it is detrimental to humanity because it discourages the use of initiative and intelligently directed effort. While it must be admitted that those converted at religious revivals by emotional evangelists in quite a large percentage of cases backslide within a few weeks to much the same kind of lives they lived before, yet the experience of conversion is a valid, and often useful, psychological experience. It is not confined to those who become converted to any particular religion. Mohammedanism and Buddhism, as well as the various Christian sects, have devotees who have had this experience, as also have some who follow The Religion of the Stars. For a further study of religious conversion, Variety of Religious Experiences, by Wm. James is a useful book. There are many cases on record, and not confined to any one or two religions, in which the life after conversion has taken on a radically different and markedly more constructive quality dating from the time of conversion. Furthermore, confession, when it is believed the sins are thus absolved, has often served a useful purpose. From ample data collected on this subject, it would seem that people can be divided into two broad psychological types. One of them has few repressions, few conflicts between different sections of the unconscious, a general feeling that all is well with the world and that in the end everything will work out satisfactorily. A person of this type has few violent struggles with himself, and such adjustments to life as must be made are taken in well ordered steps. In the course of time he may join some church, Christian, Stellarian, or whatnot. Or if he is a freethinker he may merely enter into a state of consciousness in which, like Walt Whitman, he feels all is well. But though such a person joins a church or religious organization as a natural step in the development of his ideas and feelings, he never experiences the sudden psychological change which overtakes those who experience conversion. His psychology is such that he does not feel the need of being saved, does not feel inadequate to meet the requirements of life here and hereafter, does not require a revolutionary psychological process in which he is spiritually born again. And he is inclined to regard those who experience the more violent emotional form of conversion as nervously unstable and somewhat hysterical. The other type has repressions and violent inner conflicts. Such a person has been taught in his early years that the feeling of animal desire is sinful, and he has crowded back down into his unconscious and refused to recognize these natural biological impulses. Or he has been given such a vivid picture of hell in his childhood that it has resulted in an inner chronic state of anxiety. Or he has tried to live up to certain high standards of conduct, and as a result of failing to live his ideals he has built into himself a guilt complex. Still others of this type develop a fear complex because they feel so helpless in the midst of environmental forces over which apparently they have no control. They feel unable to meet and cope with the future. There is constantly present in the back ground of their minds a stratum of worry and anxiety. The teaching that man is conceived in sin, is born in sin, and lives in sin, when accepted, develops an inferiority complex closely linked with fear. There are many factors which may contribute to this type of personality, but whatever they may be there is a split in his unconscious that causes him to feel that there are two lives; that the life he is leading is evil, or is unsatisfactory, and that there is another type of life which would bring him happiness and spiritual satisfaction. What this type of person needs, unless he learns to employ mental alchemy (Course IX, Mental Alchemy) is psychoanalytical treatment. He needs to have his repressions released through recognizing them for what they are, and he needs to have his conflicts reconciled. And that is what conversion does. It reconciles the conflicts and releases the repressions, giving a harmonious unity to the previously conflicting factors within the unconscious mind. The devout church member who strives to live according to the tenets of his religion, whatever they may be, when he does something contrary to the teaching of his religion, feels guilty. He feels he has done wrong, and this sets up an inner conflict. And if he fears he will be punished for the deed in the hereafter, or lose some advantage in the life after death because of it, he develops anxiety. But if he is convinced a priest has the power to absolve him, and he makes a confession and fully believes his transgression has been completely forgiven by God, the inward anxiety is banished. He has had a very effective psychoanalytical treatment. To many people who have few repressions and no inward sense of guilt, there is an intense desire to know the meaning of life so they can make something out of it. Yet to them the mad scramble for material wealth and position seems unattractive. They feel that life should have some better purpose, and that if material possessions and belief in some illogical creed is all it holds, that it is not worthwhile. 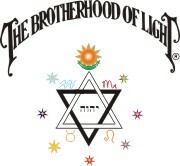 On many, many occasions those who have for the first time contacted Brotherhood of Light lessons and read some of them have said that the Stellarian teachings were just what they had been looking for all their lives. Furthermore, such conversion to the Stellarian Religion, and the release of the feeling of uncertainty as to the purpose of life, perhaps with a reconciliation of other inner factors, has often resulted in the convert permanently giving up the habit of becoming intoxicated, or the habit of sharp practice in business, or other bad habits, thenceforth to the end of his physical life living happier than ever before, and contributing far more than previously to universal welfare.